Popping off the cap you are introduced to a brew that does not follow your traditional winter seasonals, there are no cloves or cinnamon, just smooth malt and great bittering hops providing a citrusy alternative. The 7.85% ABV does some damage. As always I am impressed with what Lagunitas churns out, even if it did mean no Brown Shugga’ this season. I give it a 4. So to kick off the season, I decided to go with one of my favorite breweries, Brooklyn Brewery. Surprisingly enough, it's never been reviewed by the find men at beercrusade. Right off the bat, I was quite happy with my choice. It poured a nice healthy amber color which immediately made me happy. It didn't have a particularly strong odor (in the glass or in the bottle), but that didn't worry me all that much. Taste... well I think the best word to describe it is balanced. It's mostly a carmel/malt/hoppy flavor which worked perfectly for me. This was my first go round with the Brooklyn Oktoberfest, but I'd be very interested in trying it on tap. The only drawback for me, and it's not really a drawback, is that it's only 5.5%abv. I expect (or hope) for a little more from a fall beer. I really don't think you can go wrong with this Oktoberfest. As a matter of fact, I'm going to give it a very strong 4. It goes down easy, tastes great, is a perfect color .... really, no huge drawbacks. Go out and try some, you won't be disappointed. I know, it's been awhile. I've been pretty busy with life stuff so the beer writing took a bit of a backseat. A few weeks ago I went on vacation to the great escape, Cape Cod. Very relaxing. While there I picked up the Summer of Lager. It immediately shot up the charts of my favorite summer beers. It executed all the attributes of a great summer beer well; it was light, crisp, hoppy and citrusy. Not to mention a 6.25% ABV! I spent the remaining week of my vacation trying to hunt this down again, but to no avail. It's a little bit late in the season and I see the Ocktoberfests already creeping into the stores, so if you get a chance, go out and try the Summer of Lager. It's a 4.0! No Mas. I give up, I have tried the Tommyknocker Maple Nut Brown Ale and the biggest conclusion I have drawn from this beer is that I don’t like beers where a good portion from the flavor is nut based. 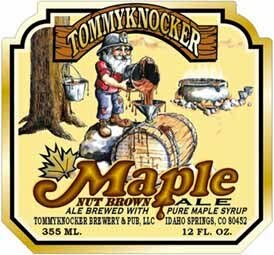 The Tommyknocker wasn’t overly nutty like the Rogue Hazelnut Brown Nectar, but it was nutty enough where it threw me for a loop. The Tommyknocker was very sweet, from the maple syrup, yet also very dry. I wish the flavor was a bit more sugary and chocolatey tasting, more of a brown sugar I guess. The 4.5% ABV was solid as I wasn’t looking to knock myself out with one punch. The Maple Nut Brown Ale gets a very even 3.0. Welcome to the Buckbean Brewing Co. Rubber Match. The Tule Duck Red Ale is the third of the Buckbean beers I have sampled, and so far I have had mixed reviews on the brewery. With trepidation I poured the Tule Duck into my stein and watched the frothy head emerge from the reddish brown sea of beer. The Red Ale was creamy with good malt flavoring. The beer ended with a nice fruity hop tone. I find that most red ales can go either way, and this one is definitely at the top of the spectrum. Yes, it comes in a can. Deal with it. Buckbean seems to be available only in the Nevada and the states surrounding it, so next time you are in Vegas, search it out. With a 6.2% ABV, you’ll at least get your bang for the buck. The Tule Duck Red Ale gets a 4.0. After last winter’s assignment in Austria and Germany, I decided to renew my contract as Beer Crusade’s foreign correspondent and moved to Australia. It didn’t take me long to identify my new go-to beer, Coopers Ale, but it’s already been reviewed (and justifiably lauded) here on BC. 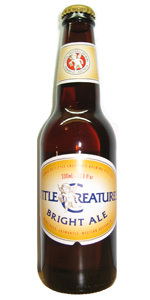 Another recent favo(u)rite of mine is Little Creatures Bright Ale. The Little Creatures brewery is located in Freemantle, on the west coast of Australia, but they distribute nationally and also operate a beer hall in Melbourne. The Bright Ale lives up to its name, with a clear golden color and bright clean flavor with just a hint of citrus. It rings in at 4.5%ABV, which is fine, as you may drink multiple in one sitting. I did have trouble categorizing it, as it isn't a true summer brew but is bolder than your average lager, but I'll give this golden ale a 4.0.